(1955, Switzerland) Ursula Biemann is an artist, writer, and video essayist based in Zurich, Switzerland. Her artistic practice is strongly research oriented and involves fieldwork in remote locations where she investigates climate change and the ecologies of oil and water, as in the recent projects Egyptian Chemistry (2012), Deep Weather (2013) and Forest Law (2014). Her video installations are exhibited worldwide in museums and international art biennials. 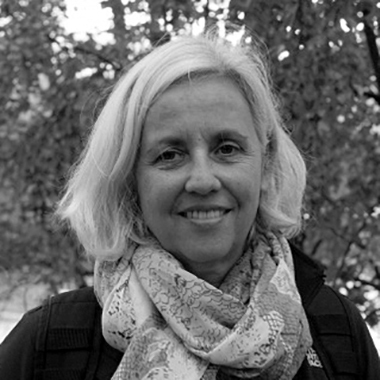 She has published several books including Geography and the Politics of Mobility and is member of the World of Matter collaborative project. Biemann received the 2009 Prix Meret Oppenheim, the Swiss Grand Award for Art.